[The beauty and importance of our situation as whites in Africa is that EVERY SINGLE (BOGUS) ARGUMENT that Jews use to hit the Whites of America and Europe with, can be TOTALLY INVALIDATED when you begin to study the history and the present situation of the whites of Africa. Every single Jewish/Liberal argument (sophistry actually – an argument that sounds logical but isn’t), falls apart once you study the experiences of whites in Africa. 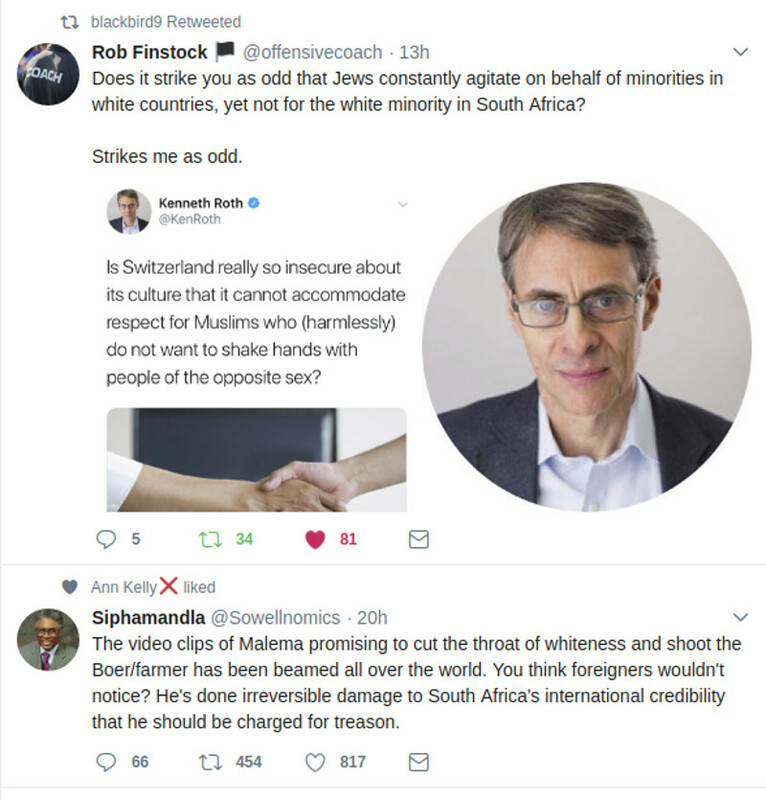 On Twitter someone nabbed the Jews by pointing out that their "minority” argument falls apart at the seams when looked at in the South African context! In the USA the Jews are always arguing for "minorities”. But in South Africa they stab the white minority in the back and argue instead for the majority – the blacks. If we whites stick together globally, we can win on ALL FRONTS. Between us all, we have everything we need in order to WIN … to win for us as a RACE! ← American Ann Coulter puts arrogant White-hating Black in his place!